We are the west ends only locally family owned and family operated full service mortuaries. We have years of experience caring for families, from all walks of life. Each family comes to us because they know we are not only your neighbors but are leaders in our profession, dedicated to excellence in service, and have the highest integrity. The Lada Company was established in 1999 by Douglas D. Lada after seeing the need for a real family owned mortuary again in the west end of the Inland Empire. The Lada family has been providing the finest in funeral and aftercare services since 1962 when Doug's father began working in Traverse City Michigan. 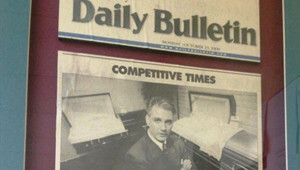 Doug, a second generation funeral director had worked for several family owned mortuaries who during his tenure sold out to large conglomerate corporations. Doug quickly found out that big corporations have to answer to stockholders so they seem to care more about money and less about the families they served and he wanted no part of that environment. Doug was last employed at the then family owned Draper Mortuary in Ontario but within 1 year they too were sold to a big conglomerate. So with the last of the local family owned mortuaries gone, Doug saw the need to get back what was lost and opened the first location Cucamonga Mortuary in Rancho Cucamonga in 1999. The Lada Company was designed to be unlike any other funeral home. Sure we offer all the traditional services of a full service mortuary but by design we are much lower in price and the state of the art when it comes to making those arrangements. 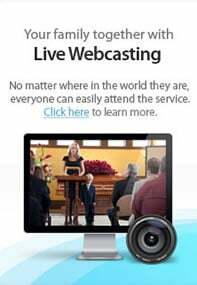 Since we began in 1999, we were possibly the first in the nation to make traditional funeral arrangements using just computers. Doug found after making thousands of arrangements with families in "traditional" funeral home settings that most people were very uncomfortable with the selection process especially when it came to caskets. Doug spent hours and hours digitizing all the items a family would need to select such as caskets, burial vaults, urns, flowers, cemetery monuments, etc. and proceeded to show them on a 50" plasma display in Lada's state of the art arrangement offices. We know no one really wants to make funeral arrangements so we have tried to make it as comfortable and easy as possible. Even most of the chapels are separate from our arrangement offices to add to the family's comfort. Although we do still offer a "traditional" funeral home setting if that is preferred. Lada's Mortuaries has been a leader in the New Tradition and future of funeral service, as Doug says This industry is very slow to change as a whole but "Eventually, they will all catch up to how we have done things since 1999." This idea of comfort also lead to The Lada Company becoming first in the nation to take our company funeral arrangement model on-line in 2005. These days a family has even more choice when it comes to making arrangements. Families can come into one of our comfortable arrangement offices or make those same arrangements completely on-line with one of our caring staff who they will actually see as we assist them through this most difficult time. 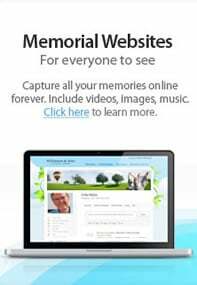 Now the family does not even need to wait to come together or fly from other parts of the country or world for that matter to be included in the funeral arrangement, they simply need an internet connection. Our goal is to exceed your expectations by providing the best in professional, caring, personalized services at a fair cost. Our family helping your family. We offer the area’s largest range of chapel and funeral products. We offer "on-line" arrangements and web-casting of services. Most mortuaries end their service when the funeral is over, not us. At no additional cost, a Family Service Director will personally assist you with a variety of needs and benefits. There really is a "family owned" difference. Lada’s Cucamonga Mortuary established in 1999 as the west ends only locally owned, family operated full service mortuary, offering 3 beautiful and distinct memorial chapels. Lada’s Chapel of Peace has been providing excellent funeral service to the Pomona Valley since 1982. South Bay Mortuary was established in 2005 and specializes in low cost cremation, memorial and alternative services. Lada’s Ontario Mortuary was established 2009, conveniently located across from Bellevue Memorial Park and expands the chapels to 5 with the addition of Chapel of the Flowers at the Bellevue Mausoleum. Doug Lada is still available 24 hours a day, seven days a week if you wish to speak with him directly. Doug was born and adopted in Michigan, he comes from a tradition of funeral service as this was and still is his father's profession. Doug has lived locally since 1985 and is married to Sandy Lada. He has 4 children, the oldest son is currently serving in the Air Force, the oldest daughter works at the mortuary part time and records music, the next oldest plays football for Citrus College while studying business, and the youngest is just a toddler so now Doug says "We can never retire". Doug studied business and attended Mott Community College in Michigan, University of Arizona, Santa Ana College and lastly Cypress Community College where he completed the mortuary science program and became a licensed funeral director, arranger and embalmer. He also holds an insurance license for those requesting advance planning. Doug is a Christian first who has realized his gift is "helping" others which is why the funeral profession is also his ministry. He fellowships at Calvary Chapel Chino Hills where he also played drums along with playing at many other churches for worship services. Hobbies include recording music, swimming, and golf but mostly just chasing around the new baby.